Discover crucial alignments that make Warrior Pose truly healthy and masterful. Experience the powerful subtlety of working with both the inner and outer body. Observe the difference in postural alertness and focused mind. Share them with your students and see immediate transformation. Practicing asana with alignment. Quick & effective ‘touch the body’ everywhere practice. Supportive details and expert fine-tuning to ensure healthy mindful form and cerebral immersion. Expertly guided Pranayama Meditation. Sharing rare techniques that clear tightness from the brain and increase yogic sensitivity. 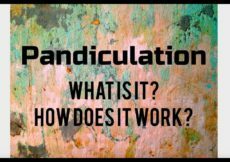 Discover more about Pandiculation: A scientifically proven way to move with greater intelligence. How does it work? Perfect mini yogic pick-me-up. Work out & work In. Align the body everywhere. Stretch and release tension. Firm the abdomen. Open the heart.